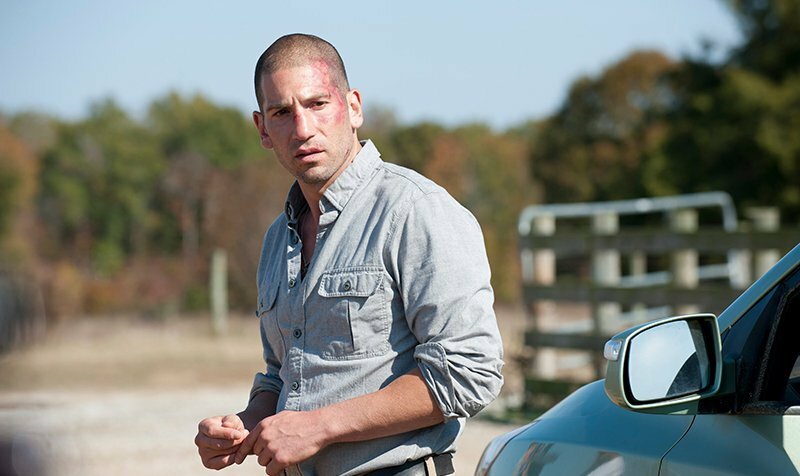 Jon Bernthal Returning to The Walking Dead! After the actor was spotted with fellow castmates Andrew Lincoln and Norman Reedus, TVLine has confirmed that Jon Bernthal will be returning to The Walking Dead next season to reprise his role as Shane Walsh. Bernthal is set to return for at least one episode according to sources. Since Shane was last seen as a zombie being put down by Carl Grimes after Rick killed his friend before Shane could go through with his plan to kill Rick, the appearance of Bernthal in the ninth season will either be a flashback or possibly a hallucination. In addition, Bernthal’s return could be part of Andrew Lincoln’s final episode with the series set to arrive next season. Bernthal’s recent projects include Netflix’s The Punisher and a guest star role on Unbreakable Kimmy Schmidt. His other credits include Baby Driver, Wind River, Shot Caller, and Netflix’s Daredevil. The actor recently finished filming Steve McQueen’s crime thriller Widows, releasing this November, and the musical drama Viena and the Fantomes. Based on the comic book series written by Robert Kirkman and published by Image Comics, The Walking Dead tells the story of the months and years that follow after a zombie apocalypse, and follows a group of survivors, led by police officer Rick Grimes, who travel in search of a safe and secure home. Are you excited to see Bernthal back on the show? Share your thoughts in the comments below!